Ask yourself these questions – some simple and some hard – to see whether you may want to consider this specialized loan product. If you check yes to two or more of the questions below, we need to talk — soon! Am I purposely not doing special things like going out to eat or going on vacation because of my tight budget? Am I concerned about losing my house to nursing home/long-term care issues? Am I concerned about running out of money before I run out of life? Have I missed out on spending time with family and friends because of money issues? Am I a little afraid of how much I have in my nest egg and retirement accounts? Would I like to have a condo, lake house, or a place where it is warm in the winter? Would I like to live in a newer or smaller home on one level? Do I have enough money for my future lifestyle if I live into my 90s? Is there a certain legacy that I would like to leave to my family or a charity but don’t really know how? Would I like to help out my family, my church, or other causes, but just don’t feel I have enough for myself? Have I NOT taken the time or the money to pay an attorney to do my estate plan, powers of attorney, etc. so my children will not have to pay double or triple costs in probate fees later? Why is there so much anxiety and so many concerns voiced about reverse mortgages from friends, relatives, and the media? It is very simple. In the beginning before HUD and FHA were involved in the program, some private reverse mortgages had fraud problems that hurt some retirees. The program is better and now heavily regulated, making it much easier to understand than years ago, but some of those old stories are still circulating. People have always been afraid of the dark because there is uncertainty of what is there. You need to turn on the light when there is darkness to find out whether there are dangers or not. When you turn on the light, you will find a very different product — quite unlike the rumors and misunderstandings promoted by the news media and simple gossip. 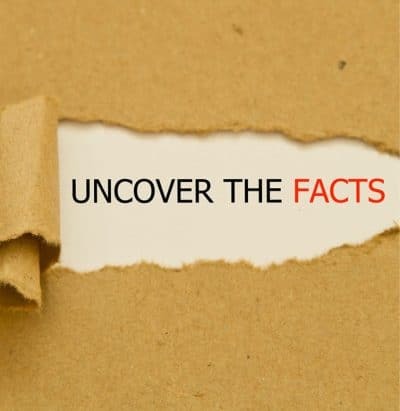 Some of the people that pass on negative things about reverse mortgages are not mean spirited or purposely lying — they are simply misinformed, and it is our job to give you the best education available with the most up-to-date facts so you can make a clear and unemotional decision. Our Loan Officers are very experienced and well trained in a variety of senior, real estate, and retirement issues so you can feel much more secure about making a decision with one of your most valuable assets — your home. Here is a quick rundown of the top myths we encounter. MYTH: I could lose my home and be forced to move. FACT: As long as all loan terms are met, you cannot be forced to sell the home and/or move. Terms include living in the home as your primarym residence, maintaining the home, and paying home expenses such as taxes and insurance. MYTH: Your home will be taken away when you pass away and the family loses the rights to the property. FACT: Because the house is in your name, you or your heirs make the decision to sell or pay off the mortgage balance. If the mortgage balance is too high, your payoff is limited to the value of the house, and the remaining amount is paid by the FHA mortgage insurance fund. Remember that your heirs can always purchase the home for 95% of the appraised value or the mortgage balance, whichever is lower. MYTH: Your house must be debt free to qualify for a reverse mortgage. FACT: You can use a reverse mortgage to pay off a current mortgage provided the available FHA borrowing limit is high enough to cover your balance. FACT: The deed always stays in your name, and you have all the rights that you do now. You can sell it, remodel it, and keep any equity that is left when you move. MYTH: Reverse mortgages are too expensive. FACT: There have been changes in FHA’s HECM reverse mortgage program in recent years that reduced a borrower’s costs. 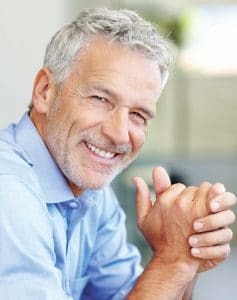 While any reverse mortgage is still more expensive than a traditional mortgage, they may provide you with more options than a traditional mortgage, such as no mortgage payments and a growth option (growth applies to the credit line’s unused funds). You must still continue to pay home expenses such as taxes and insurance, and maintain the home. MYTH: My children could get stuck with a big mortgage debt if I live too long. FACT: Your children can never be liable for any amount over the value of the home because the loan is guaranteed by the FHA Mortgage Insurance Fund (FHA/HUD).